Winx has done it again and claimed her 17th consecutive victory. She is the beautiful mare who is a superb horse that has captured the heart of millions across the globe. Recently she was in the news again as was wanted in Royal Ascot Britain and for European racing . But Aussies did not let her line up in these races. It had been hoped that the mare, successful in a record 17 races at Group One level and unbeaten in her last 24, would contest the Queen Anne Stakes at Ascot in June 2018. But her trainer Waller says the decision to remain in Australia was made after “lengthy discussions” with the owners and jockey Hugh Bowman and “based on the best interests” of the six-year-old. “Winx has nothing to prove to anyone, she is, and always will be, regarded as a legend of the turf and it is champions like her that make up the fabric of this great sport,” he added. So you see with her success and this long unbeaten record, Winx has stirred interest around the rest of the world as well as at home in Australia, bringing star quality by the bucket-load where she goes. 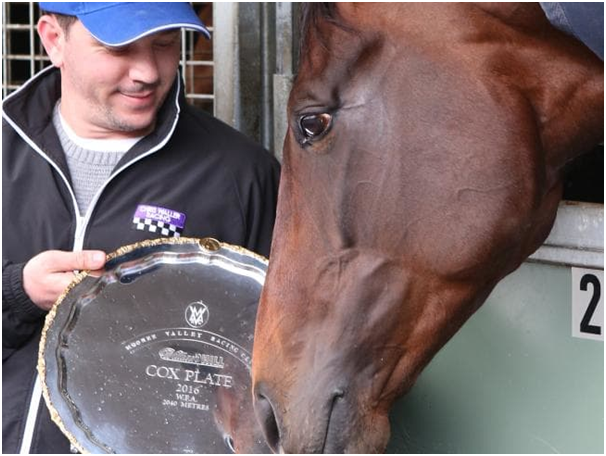 Much as the Winx team would have fancied a trip to Ascot, but their number one priority is a record fourth win in the hugely prestigious Cox Plate in Melbourne in October, and they wouldn’t want to do anything – travel her anywhere – that could put being spot on for that at any risk. As said above with 17 consecutive wins under her girth, Winx has beaten the famous Phar Lap’s incredible winning record, well and truly deserving her crown in Australian Racing. She is a celebrity now of the Australian Racing Champion. 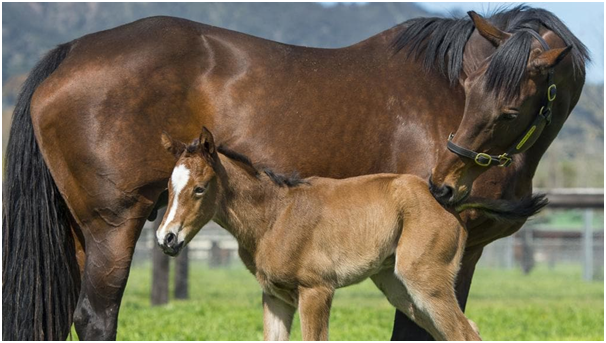 Winx was born in September 2011 at Fairway Thoroughbreds run by John Camilleri, in the Hunter Valley of NSW. Irish-bred ‘Street Cry’, a beautiful brown stallion and winner of the now $10m Dubai World Cup is the sire (father). With multiple Group 1 winners across his progeny, these are some high-priced bloodlines. Out of the also successful Vegas Showgirl (her mother), Winx was clearly the result of a superior cocktail as described by experts. Winx’s first race was in June 2014 at Warwick Farm, followed by her first Group 1 race later that year in October at Royal Randwick. 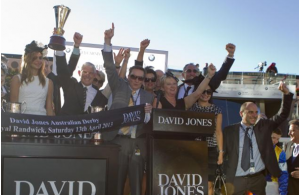 17 straight consecutive wins to date across her short career – better than Phar Lap! She was purchased at the 2013 Magic Millions Yearling Sales for $230,000 – the owners of this powerhouse will be thanking their lucky stars they decided to invest in this beauty. 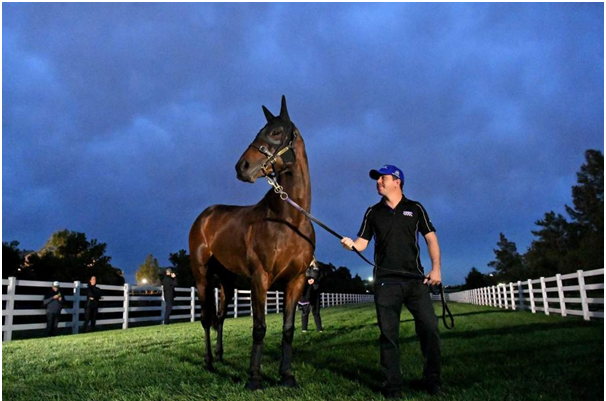 Winx has won over $10million in prizemoney in her short career, meaning she is the most valuable piece of four-legged real estate you can just about find. Winx is not just an ordinary horse but it’s likely down to a healthy mix of strong bloodlines, an exceptional ‘type’ (large hindquarters or engine, wide girth, sharp turn of foot) and an equally ‘good brain’(trainability and the desire to win). Horses of this calibre know what they’re doing – they’re competitive, they’re tough and they’re one in a million. Her jockey Hugh Bowman once quoted “she was born to run” and that she has proven! Recently on 24 March, Winx won the George Ryder Stakes for the third time, extending her winning streak to 24 – just shy of Black Caviar’s Australian record of 24. It was also her seventeenth Group 1 win, breaking the world record she had previously shared with John Henry. In what Bowman called a tactical race, Winx settled near the back of the six-horse field then started to make up ground around the turn. Invincible Gem led early, stalked by Happy Clapper. Winx unleashed her run with 300m remaining, and gradually pulled away to win by three-quarters of a length from Happy Clapper. Her breathing during the race is in and out 140 times a minute distributing 150 litres of air per second which averages out at around 10,000 litres per race. This is what humans breathe in a day. She is fed primarily hay and oats, consuming 35,000 calories per day. An adult human is advised to eat around 2,500 calories a day. Horse average 240 heart beats per minute, moving 60 pints of blood during a race. A racehorse’s heart weighs around 4kg while a human’s heart weighs about 300 grams. Winx’s stride length has been measured at close to 6.8m. The average stride length for a racehorse is around 6.1m. Most racehorses have a stride frequency of between 130 and 140 strides per minute. 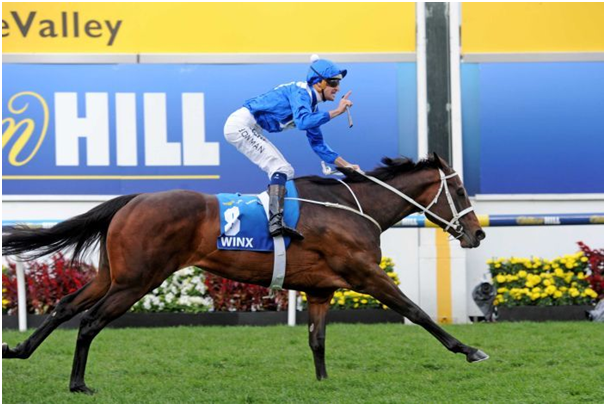 Winx has been measured to take nearly 170 strides per minute, a speed and frequency she can maintain over an extended distance while most horses lost both frequency and stride length. Winx’s popularity in Australia and around the world is something that has been a great learning curve for all involved. At all times, her welfare is number one. She is obviously closely monitored to ensure that she keeps her zest for racing. Chris Waller is Winx trainer. The 43-year-old Sydney-based trainer is a dairy farmer’s son from New Zealand who did it tough for many, many years before success eventually came, mostly through sheer hard work and perseverance. Waller has now won the Sydney premiership for six years running. That means he has trained more winners than anyone else, which speaks to the depth of his operation across the board. But of course, it’s all about one horse this week, and that horse is Winx. He says he gives lots of pats to Winx. Winx obviously knows she is loved, which can’t hurt her desire to perform well. Trainer Chris Waller admits her athletic nature gives her a distinct edge. 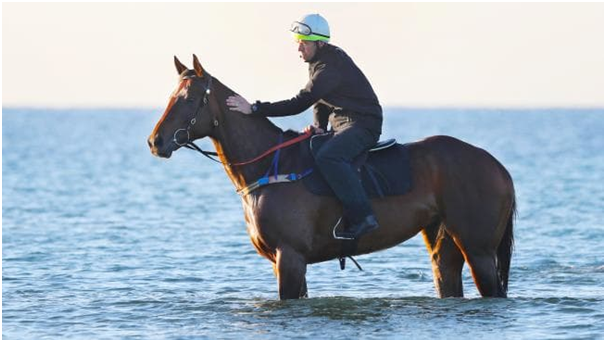 “Winx is just a natural athlete and seems to get herself out of problems so, whether she is back, forward or wide she copes with all situations. It’s as if she wants to be a winner,” Waller said. Winx is so durable. She beats all comers at a huge range of distances. She often faces larger fields, which means she’s more prone to back luck in the run. But she just wins and wins and keeps winning.